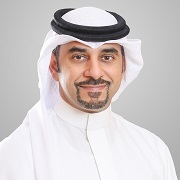 The Bahrain Institute of Banking & Finance (BIBF), the leading training and career development provider in the region, has developed a unique, comprehensive Digital Leadership Competency Framework (DLCF) and successfully obtained its global copyrights. Dr. Vijayalaxmi Moovala, Lead Consultant, developed the DLCF after significant research, focus groups’ input and global benchmarking. The DLCF provides a unique perspective on digital leadership, highlighting the competency clusters, competencies and competency definitions for five levels of employees, namely, C-Suite/Senior managerial level; Middle managerial level, Front line managerial level, Non-managerial and Graduate levels. The new digital workplace is having an impact on established organisational roles and responsibilities. In particular, this framework equips employees with the required competencies to think and act more strategically in a digitally disruptive world.